Every day is an opportunity to sell yourself. You will always come across someone new and this allows you to put your best foot forward and leave a positive impression on people. These first impression can be nearly impossible to reverse or undo, making first encounters extremely important. They set the tone for all the relationships that follows. So, whether they are in your career or social life, it’s important to know how to create a good first impression. The first step to building your brand is by being your best self. To do this you must know yourself. Spend time thinking about what strengths you have that differentiate you from others. Once you have an understanding of who you are and who you want to be you need to then look in the perspective of your peers. How do these people see you, how would they describe you? It is important to have placed goals for yourself to achieve in the future. An individual is their own brand and it is their job to prove why they are the best they can be. 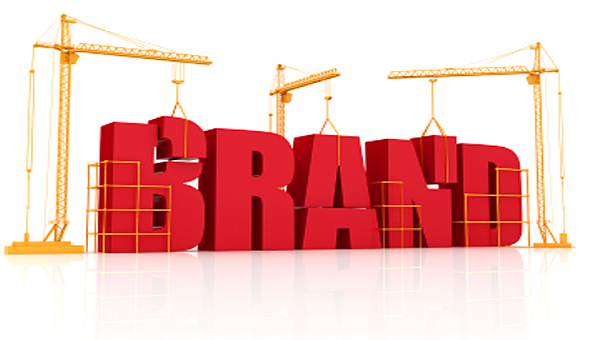 The same way that a company can increase brand equity, so can a person. Your actions will forever have an impact on how people view you. Developing your personal brand is essential for the advancement of your career and many steps can be taken to fulfill this. It is important to view yourself as valuable and to know why that is. Focusing on a personal brand will also help to build self-confidence which is one the most important qualities of a person. Everyone must be aware of their surroundings because every action that you make can affect your personal brand and influence your future. After what was considered a down year in 2015, ESPN hasn’t seen much improvement throughout 2016. Having experienced a dip in television ratings, ESPN has suffered with its reputation as well as financially. With so many alternatives for consumers through social media, ESPN is no longer the first place for breaking news and because of this they have at times tried too hard to break the news before any of the other news outlets. This has in the process caused them to lose credibility along with their publishing of lackluster journalism. This then becomes a task for the Public Relations team as they are in charge of earning a positive public response. ESPN offers a variety of products besides having a television network. They have a magazine, a website, mobile apps, tablet apps. They are everywhere. ESPN consists of one primary channel and has 7 other related channels to make sure that viewers are getting everything they want. ESPN even has a specific channel dedicated to the Spanish community. With multiple networks, ESPN definitely has a large variety of shows to offer. ESPN functions from the studios in Bristol, Connecticut but also has offices in other major cities. The global presence of ESPN can be represented by the 94,396,000 number of paid households around the world who are viewers of the ESPN network. Because of the huge global presence that they possess, ESPN is credited with being one of the the largest networks in the world. At $7 a month, ESPN is the most expensive pay-TV network more than tripling the next most expensive cable channel. 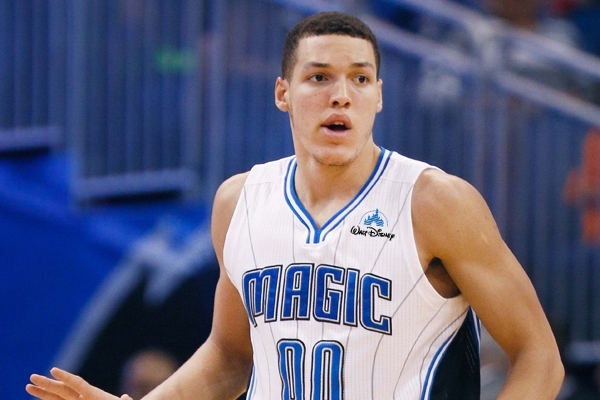 ESPN provides the best services within its industry and therefore charge a premium. ESPN does not run many promotions through their television network but offer subscribers of magazines and their website additional access to data and analytics as well as package prices. ESPN is able to offer advertising opportunities and are able to run promotions for other companies to earn revenue. ESPN does a good job of promoting sporting events that they are airing and are excellent at building up the excitement of a game to keep the viewer engaged. To fix the main issue regarding viewership I recommend that ESPN attain the rights to televise more live sporting events while cutting back on highlight based shows. The majority of sports marketing professionals have at least a bachelor’s degree, and many companies prefer that employees get an MBA at some point during their career. While the Bureau of Labor Statistics does not track data for sports marketers as a separate role, they note that that 71% of marketing specialists hold a bachelor’s degree of some kind, while 25% have a master’s degree. This makes it a hard field to jump into and it is vital to have a degree. However, as for anything in life if you work harder than everyone else it will be noticed and you will be rewarded. So there is always a chance to make it to the top of your industry. As baseball fans everywhere get ready for game 7 of the World Series no one has to do more preparing than the bars in each teams respective city. A teams success is also a huge economy boost for the city as more people begin to gather at local places to watch the games. For the bars in Chicago and Cleveland this is a huge revenue booster. Also, there is a ban on parking on streets around Wrigley this weekend, and that legal parking spots near the ballpark are being priced at $150-$300. When the Golden State Warriors take on the Oklahoma City Thunder tomorrow night the tickets will be at a higher price than normal and not because the on court product will be at a higher level than usual but because of the off-the-court story lines. Kevin Durant v. his old teammate Russell Westbrook will cover all the headlines and fans will flock to see the two play against each other for the first time. A teams performance as well as the story lines for that team has a big impact on the economy of its community. This allows for companies within the area to market to the fans of those teams and make an appeal for them to come to their bar or restaurant. The NBA has recently allowed for teams to put advertisements on their jerseys beginning in the 2017-2018 season. Because the 76ers are among the worst teams in the NBA it is expected that this will be the smallest deal agreed upon. The Golden State Warriors who are the leagues most popular team are rumored to be asking for $20 million a year for a company to advertise their name and logo. This is a huge opportunity for companies because the media landscape is changing. We are seeing less and less people who are watching commercials so companies should be jumping at the idea of being on live television for a large audience. It is much harder to not notice a logo on a teams jersey as you watch a sporting event. People are much more likely to lose focus during commercial breaks, get up and move or hop on their phones. It will be interesting to follow along with the deals that are made between now and the beginning of next season. As well as the interest that this move generates for companies and if their will be a huge increase in the demand among companies after the initial deals are completed. Twitter has become a great site for fans to stay up to date with their teams during games as well as being able to keep up with team news throughout the week. 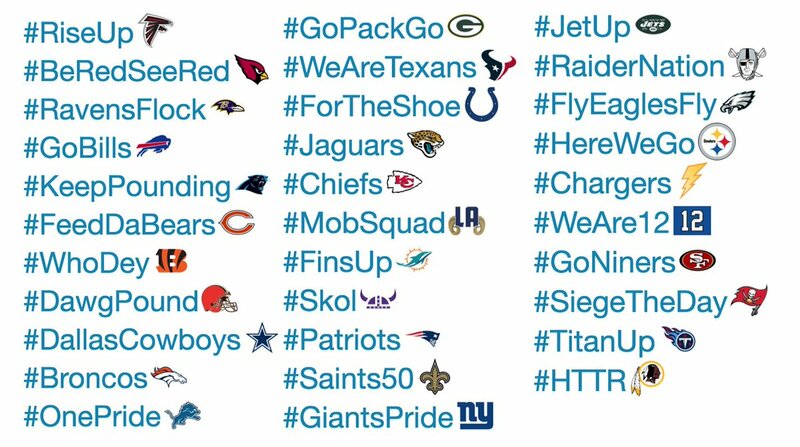 Twitter does a wonderful job of presenting itself for all teams to use as they offer a hashtag for each NFL team this season. When a person posts a message that includes their teams hashtag it makes it easy for everyone to keep up with what people are saying about their team. Twitter has also struck a deal with the NFL to allow live-streaming of games. This is a good idea for the NFL, who is currently seeing a decrease in viewership this season, too create a new strategy to reach younger, digital-minded viewers. “As your audience diversifies, as their viewing habits diversify, your distribution models have to follow,” said Elizabeth Lindsey, Wasserman’s managing partner of brands and properties. “You went from prime time broadcast to cable. You went from online viewing to mobile apps. Now we’re getting to social.” It is important in marketing to keep up with new trends and this is a good example of the NFL seeing an opportunity that may be able to help them. According to an article on CNBC by Michelle Castillo, in addition to the Twitter partnership, The NFL acquired its own Snapchat Discover channel and more Snapchat Live Stories as part of a two-year deal announced in August. Earlier, the NFL was Facebook’s first test partner for post-roll, or after the video, ads. In July, the NBA streamed nine Olympics USA basketball games on Facebook, marking the NBA’s first move into live-streaming. The league will also be debuting two live-streamed shows, but not actual games, on Twitter this fall. The MLB is now on Snapchat, including a behind-the-scenes Spring Training initiative in March as well as MLB Wednesdays, a weekly live story. This is a good steps for the three major sports to make it easier to access information and follow along with current news. This is also an easier way of marketing upcoming events within the community or events and promotions that teams will be putting on or hosting. A Changing of Americas Past Time? 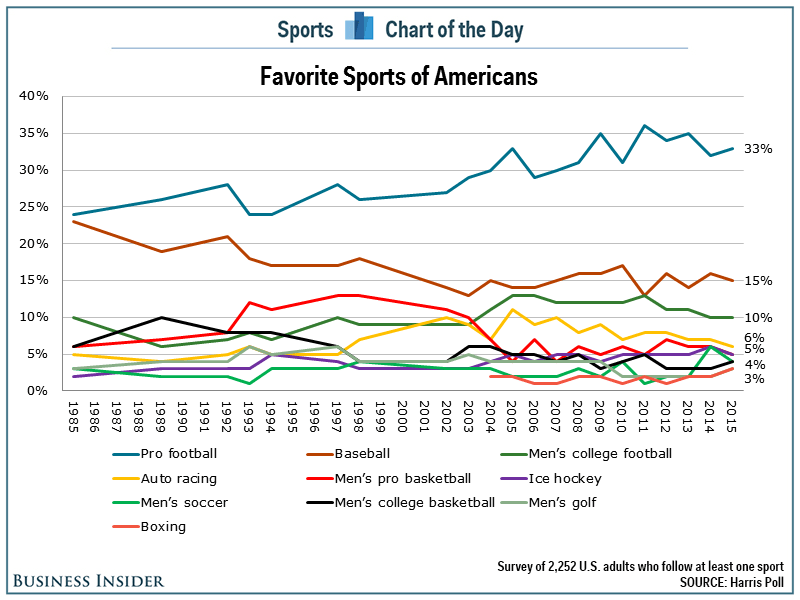 While baseball is widely regarded as America’s Pastime this chart below shows that Football may be the new favorite sport among Americans. This data was collected and published prior to the beginning of the 2016 football season. The NBA is about to get underway in a few weeks and is bringing along many story lines to follow throughout the year. Major League Baseball is enjoying one of the most exciting postseasons in recent memory. Is it possible that football could have gone from America’s favorite sport four months ago to one that nobody pays attention to anymore? The National Football League is now losing viewers. Through the first month of the season, ratings were down 11 percent from last year, and ESPN’s Monday Night Football broadcasts were down 21 percent. So low are this season’s ratings that television networks are being forced to give away free ad slots to make up for the low numbers. Part of the decline in ratings may be due to the stricter game play rules put in effect this year as well as the negative attention that the NFL is getting for taking the “fun” out of the game. Another thing that is causing a decrease in ratings is the poor play from a majority of teams in the league. The quality of the product has definitely looked to have fallen off this season causing fans more boredom than entertainment while watching. Also, the NFL has cracked down. Previously, if you followed your favorite team, and your team made a big play, it would pop up on your social media feed. No longer is that. Now only the NFL’s own Twitter and Facebook accounts can carry video snippets of events as they unfold. Fines for violations begin at $25,000 for the teams. This takes away a lot of things that teams can do as a way to appeal to fans. With baseball remaining for another few weeks and basketball on the rise it is completely reasonable to see football ratings continue to fall. Most professional sports organizations will offer promotional events. One of the most popular promotions is the creation of a bobblehead. 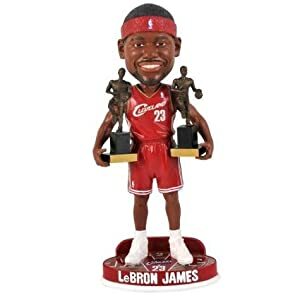 A bobblehead is a figurine with a disproportionately large head that bobs up and down, often made as a caricature of an athlete. Bobbleheads are appealing to both kids, parents, and to those people who may posses a collection of such items. Teams will have a certain amount of bobbleheads that they will give out prior games. This is a way for teams to get fans to the games earlier in the hope of a higher attendance rate as well as getting people in early enough to walk around and buy food or shop at the team store. Organizations such as the Golden State Warriors, can create a bobblehead to help advertise for more than just one team. This bobblehead of Stephen Curry has him wearing a San Jose Sharks jersey. This is a good way to attract fans of another sport. The hope of this promotion is that fans of the Warriors may become fans of the Sharks and vice a versa. The appearance of Bobbleheads are not always accurate to its character. Some happen to not look like the athlete much if at all. However, any attention is good attention so it is not necessarily a bad thing because it may get the team some publicity.. but it is defin itely a bit of a bummer for the fans who show up early to receive a bobblehead. Bobbleheads will always remain popular as they continue to be demanded by fans. For the marketers and those in charge of branding and promotions, giving out bobbleheads will remain a safe and rewarding option to increase attendance and popularity among fans. Not every team is the Los Angeles Lakers, Dallas Cowboys or the New York Yankees. For a majority of franchises it is hard to get people to attend games or become a fan. Winning helps, look at the Golden State Warriors for example, who’ve gone from being the bottom-dweller to one of the best teams in the history of sports. However, not all teams are lucky enough to experience winning seasons. It is important that teams not only focus on the players that they have but also those who are watching from the stands or their television. In order to gain attendance at events teams must make their presence known. A way to do this can be by doing work in the community. The Golden State Warriors just recently said that they may cut back on the number of days that they practice in order to do more work in and around the community. This is way to get positive publicity and can attract people to be fans of your team because of the integrity of the entire organization. Sports organizations need marketing as well and not just for apparel or ticket sales but to actually find those people who will buy the tickets or jerseys.There are multiple ways to gain fans but above all I recommend starting with the children. You can have organization members go out of their way to develop relationships with young kids. This is absolutely critical in building a large fan base. They say that the 30-mile radius around your stadium is the team support area. Few fans will travel farther than that, no matter what the incentive. So insure that your team members spend time in the community on a regular basis. Marketing in local papers and stations can be big as well, but not everything has to be done on the local level. Publicity of players is huge for teams as well. What is going on now with Colin Kaepernick of the San Francisco 49ers will bring some people to root for them as well as some to root against them. The point is that with social media use so popular and rampant now a days, it is easy to get your name out there. But the actions of your players, the team on the field, and the action in the community will help promote what your team stands for more than anything else. 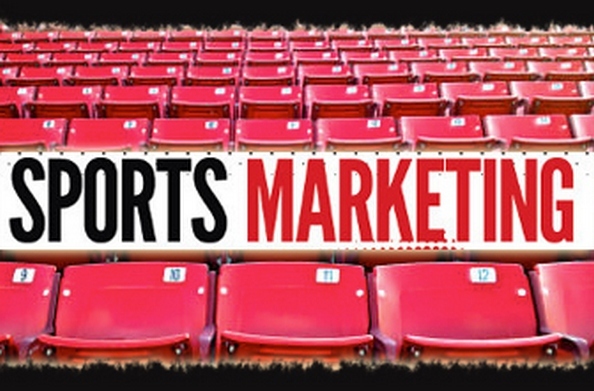 Football season is underway and so is a busy time for sports marketers. As fans enjoy the excitement of seeing their favorite teams back on the field they plan there schedules around that of their team. 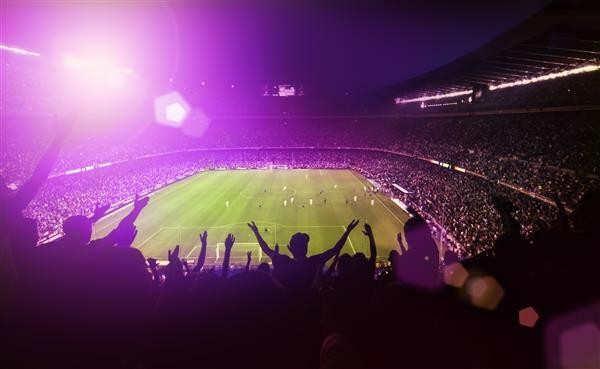 A majority of the sports experience comes from the television as many fans prefer to watch games from the comfort of their own home or out at a bar to interact with other fans. As technology has evolved we have become introduced to many other outlets that offer live sports and analysis. Fans are able to watch their teams through the streaming of video online and able to keep up with the game through social media. As a marketer, it is a priority to generate interest in your product or service. The most important step to achieving this is by reaching out to the correct audience. The difficulty with being able to relate to all sports fans is the diversity among them. Sports followers are from all over the world and raised in many different environments. But the one thing that they have in common is a passion for sports. That’s how you relate to them. There are now four days out of the week designated to football, three of which are for the NFL and Saturdays for college football. It is important for marketers to develop a strategy that resemble other marketers, but with a few additional adjustments. The goal is to create awareness which can be done many different ways. If you are marketing to those who use social media you can use special designs o animations to catch the attention of others. During popular sporting events, social media, twitter specifically, becomes much more active and brings in more viewers. These would be good times to plan your promotion. Television remains the most effective advertisement place so it is vital to perform well here. To succeed here you must do something remarkable. You have to catch the attention of people. Sports fans like to relate to players which is why I believe that using or depicting athletes in advertisements can push your brand over the top.